To know the origin of 3D CAD modeling, it is necessary to go back to the 1940s when the seed of CAD was sown. Before this decade, much of the sketching and drafting work was done on paper. Also, there were no means to correct or ascertain the accuracy of engineering design. While sketching itself was time-consuming, incorporating any simple or major change in the design was like running a marathon again. During the World War II, computer scientists were working on developing real-time computing solution. Finally, in 1943, the first general-purpose computer was developed jointly by US Army staff and the University of Pennsylvania’s Moore School of Electrical Engineering. It was christened “ENIAC” (Electronic Numerical Integrator And Computer), and solely used to calculate ballistics shots by the US Army. 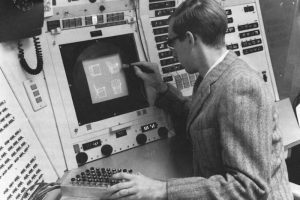 In the first half of the 1960s, Computer Aided Design (CAD) system was commercially launched in the market. Major users of the CAD at that time were IT, engineering, and aerospace companies. While lots of drafting and manufacturing systems were developed through the 1970s, research was also going on to build 3D CAD modeling system. It was finally introduced at the end of the decade when Ken Versprille invented NURBA that helped in 3D curve and surface modeling thus cementing the path for 3D modeling services. When UNIX operating system was developed in the early 1980s, a number of industries, including aerospace and automotive started using CATIA, a commercial CAD system. But the wide use of CAD system got a major boost in 1981 when IBM developed first PC. For the IBM PC, Autodesk programmers created AutoCAD in 1983 that brought a significant change in the world of drafting and manufacturing thereby enabling designers and engineers creating 3D CAD models for different applications. 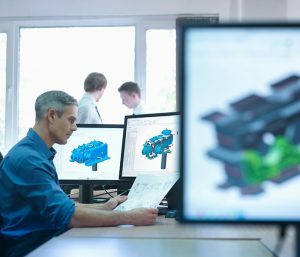 CAD programs today play an influential role in product lifecycle management. Engineers and designers can now create more accurate and faster 2D and 3D models. With the 3D scanning technology invented in 1960 emerged to a greater scale, simulating a real-world object by 3D scanning its surfaces and shapes, and constructing them in three-dimensional models is easy and faster. Most companies from different industries are using 3D scanning services for research and design. Several advanced 3D laser scanners are available in the market that is used for a plethora of applications.